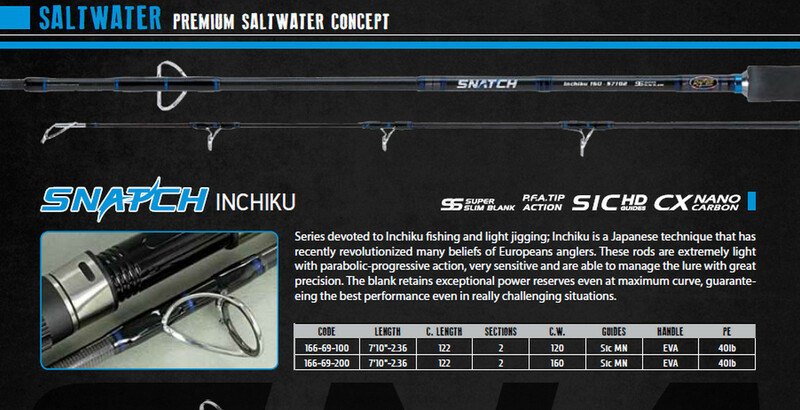 Inchiku is a Japanese technique that has recently revolutionized many beliefs of Europeans anglers. These rods are extremely light with parabolic-progressive action, very sensitive and are able to manage the lure with great precision. the best performance even in really challenging situations. Great for medium boat fishing in the Uk on wrecks and deep offshoare marks.